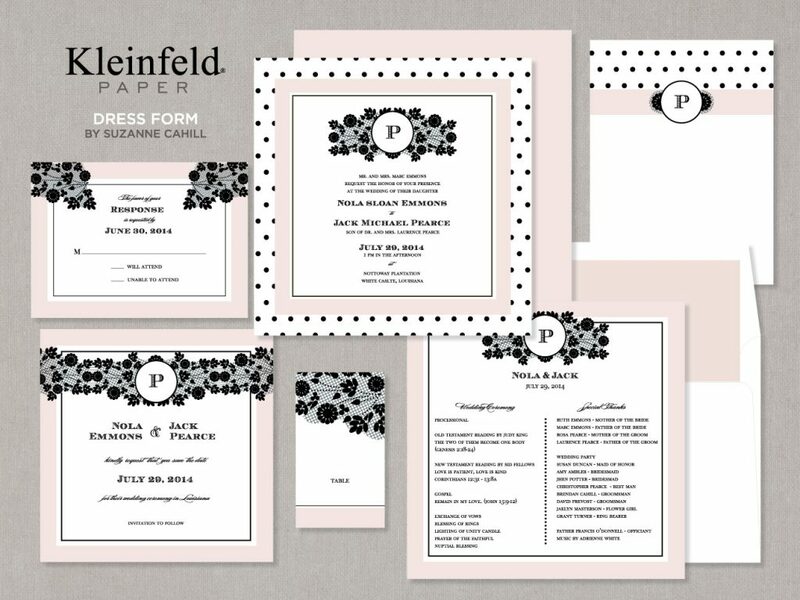 It is a truth universally acknowledged that a woman engaged and sending her wedding invitations will next be focused on finding the perfect wedding dress. 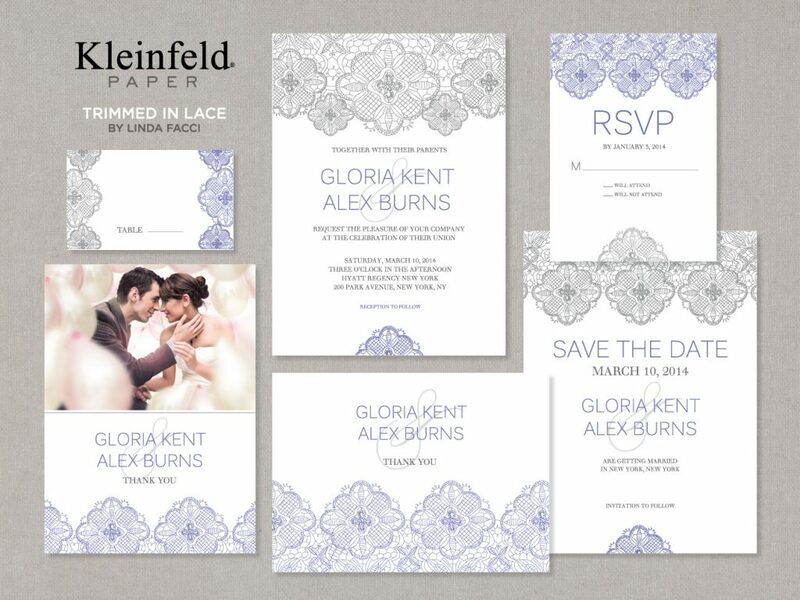 In short: first comes the invite, then comes dress shopping. 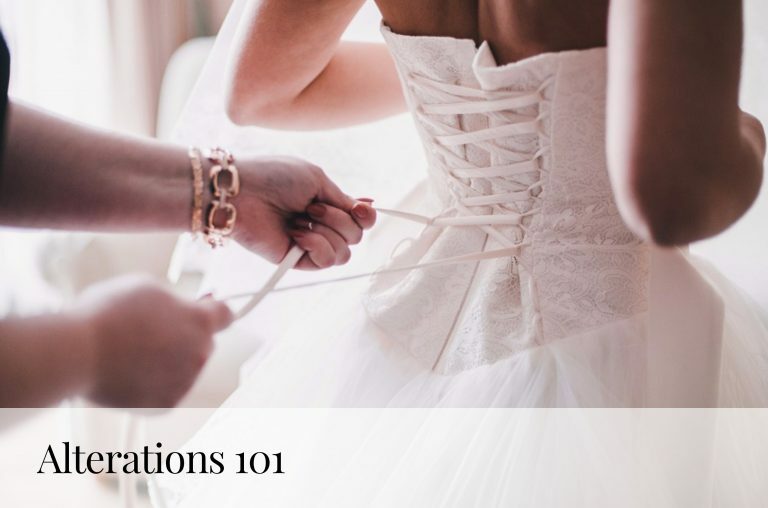 And, while it’s true that every day we fall further in love with helping brides find the wedding dress of their dreams, we also believe the other details are just as important. 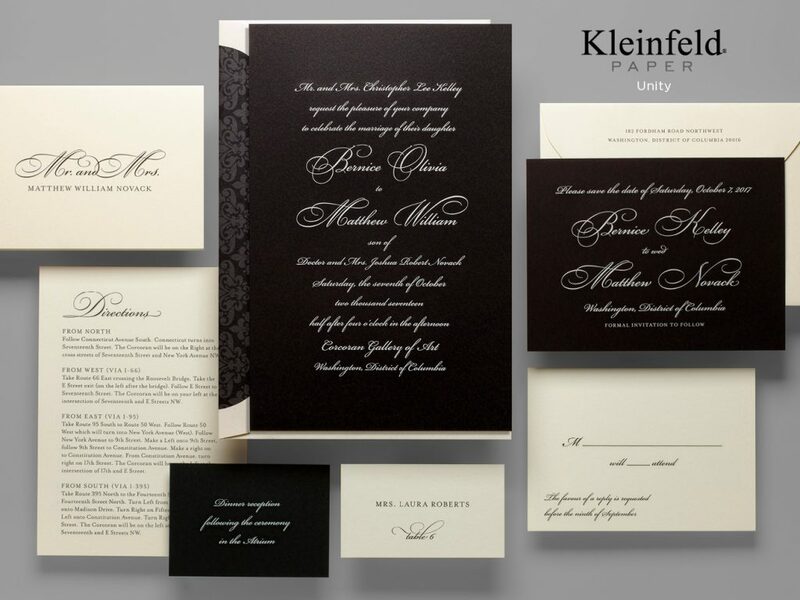 Kleinfeld Paper has hundreds of options for invitations, save the dates, thank you notes, etc. 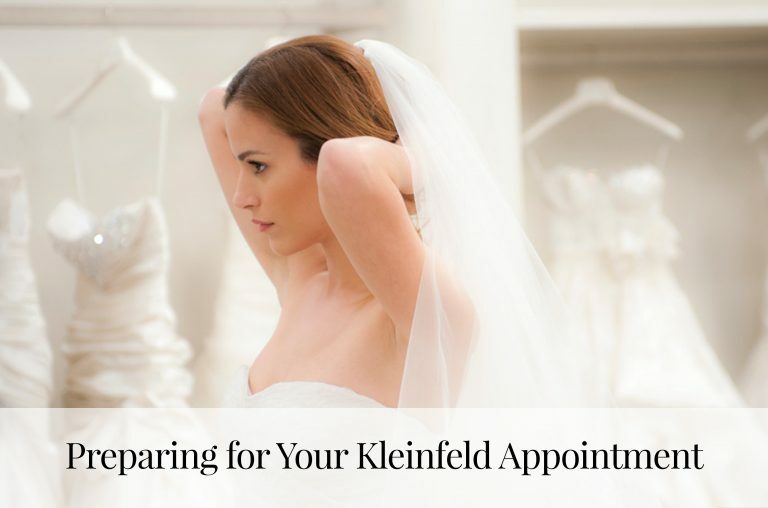 Thank goodness for that–there is a paper set to match every wedding dress in our salon! Here are a few of our favorite pairs. Nothing says ‘chic’ like black details and cursive writing. This pair is vogue and glamorous. 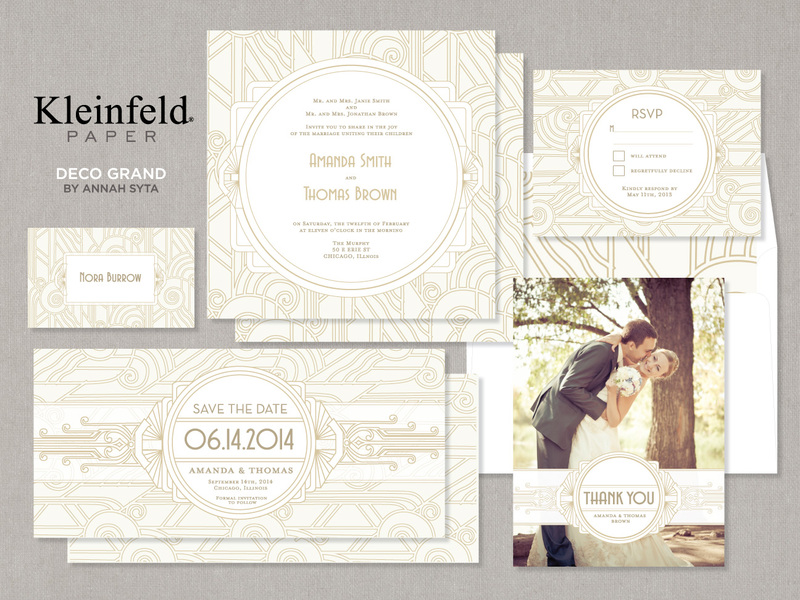 We are channeling pearl necklaces, feather headpieces, champagne flutes…it’s The Great Gatsby: Wedding Edition. ‘Say Yes’ to pink on your wedding day! 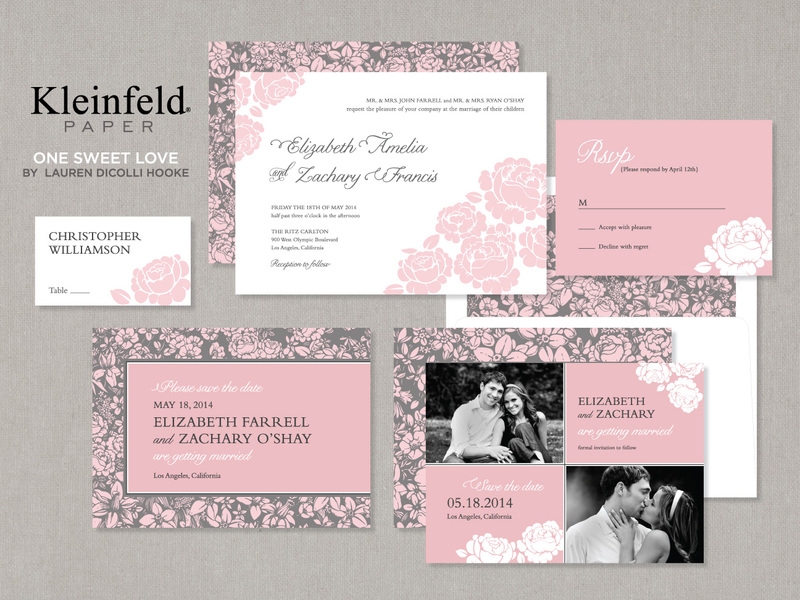 This blush and lavender ball gown and pink floral invitation set is whimsical and feminine. 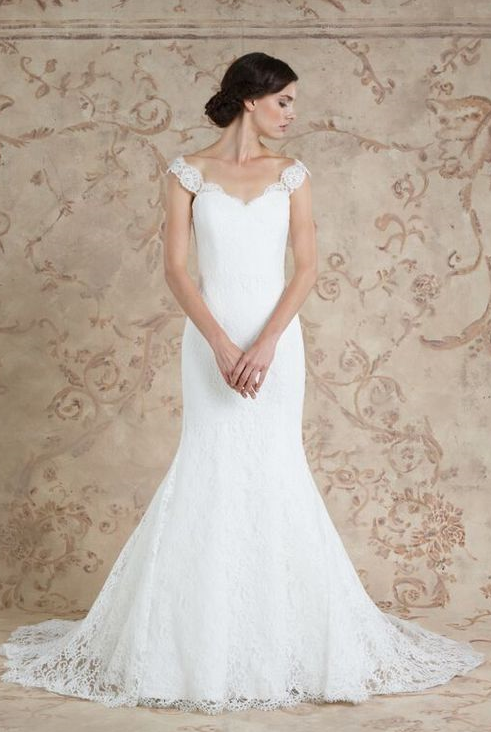 For a romantic bride, lace-obsessed and looking for beauty in everything, this combination is the perfect balance of traditional with a little whimsy. A little retro, fun and flirty, this might be our favorite pair! Polka dots and a tea length wedding dress will make your celebration a day to remember forever. 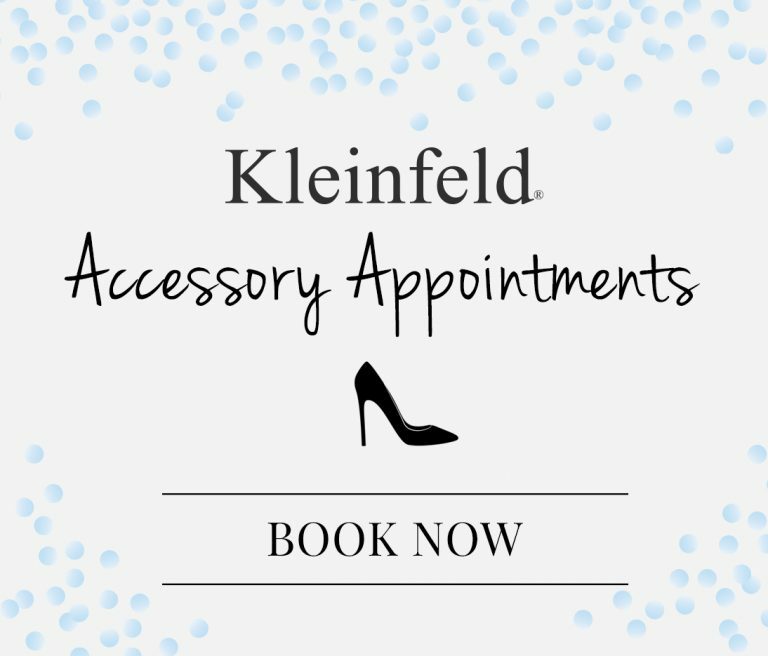 Let us know which pair is your favorite @Kleinfeldbridal on Facebook, Twitter, Instagram and Snapchat!